I've shared with you before the I love bridges. The Sky Bridge at the High Museum of Art is another sort of bridge, but I totally love it for the vistas it offers. 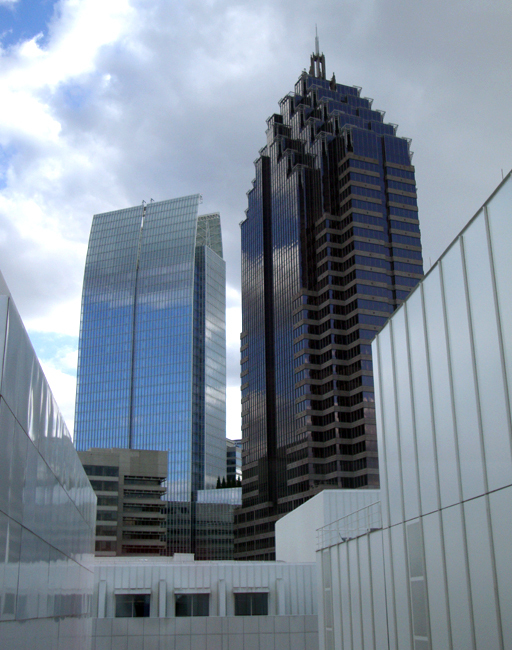 From the Sky Bridge looking south, you have a brilliant view of 1180 Peachtree (Symphony Tower, left) and Promenade II. Both are stunning buildings. Keep your cameras at the ready...you'll have some amazing vacation photos if you do.